The ageing crisis is looming. 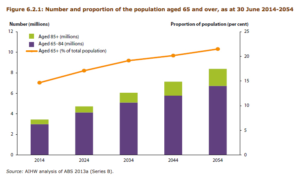 Aged care and home care services need to evolve rapidly to meet the increasing challenges, demands and expectations of baby boomers as they become the core demographic group to cater to over the next 20 to 30 years. Baby boomers are better educated, more independent, more savvy with technology, and much more demanding with the methods, styles and processes of aged health care then previous generations. Service providers must change and innovate to keep up and satisfy these ever-evolving requirements to remain relevant and competitive. From a provider perspective, CDC gives people the choice from whom these services are delivered. 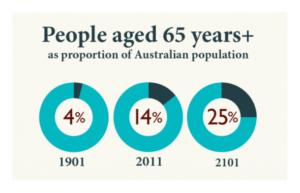 Competition for the same dollars will increase and accelerate significantly as baby boomers, the most affluent generation today, are targeted for their ability to spend on Aged Care and Home Care services as they age. New providers, mostly commercial organisations, are entering the market rapidly in response to the growing opportunity. Traditional providers will need to embrace this opportunity by effectively improving operational efficiencies through business processes, embedding best practice methodologies throughout the business, having access to timely and accurate information for astute decision-making, and leveraging technology to effectively deal with price competition and increasingly complex customer interactions. The HalleyAssist® Assisted Aged Care Living system offers you and your organisation a more efficient, effective and cost-competitive solution offering to your customers.